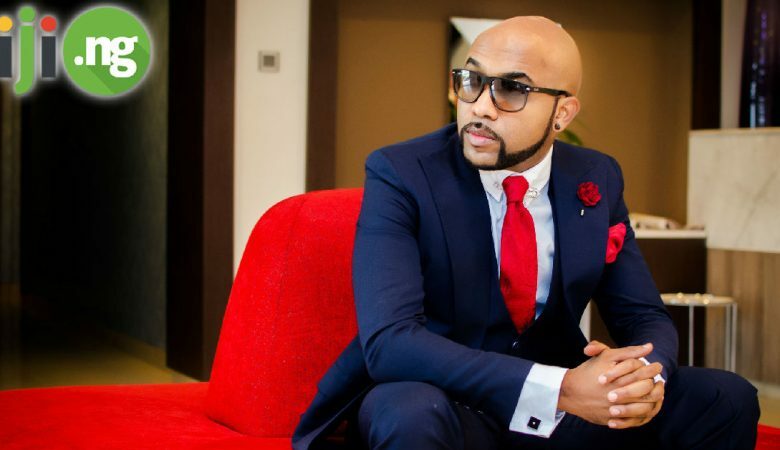 The past weekend millions of Nigerians waited for one of the most important marriage ceremonies of the year to take place – on November 19th Banky W married Adesua Etomi. The Banky W wedding was an exceptionally glamorous event, and we couldn’t help but love the variety of beautiful Aso Ebi looks. Check out the best Nigerian Aso Ebi styles from the wedding of Banky W and Adesua! Let’s start with the bride herself, whose look this night exceeded everyone’s expectations. There clearly was a pink and purple theme for the wedding, and Adesua wore one of the prettiest Aso Ebi wedding styles we’ve seen all year. There were no shortage celebrity guests at the wedding, and we could spot the most stunning Aso Ebi designs on famous Nollywood stars. Juliet went for a cool pink Aso Ebi with a lot of intricate floral detailing, which she chose to accessorize with a silver clutch. A popular fashion designer herself, Tope Abiola came to the wedding in one of the most unique Aso Ebi styles of the night. It’s a daring look that shows a lot of skin, but we truly appreciate this bold attempt at spicing up the traditional Aso Ebi style. The best Aso Ebi dresses at any wedding are always the ones that follow the theme but still look unique enough. The actress Sola Sobowale taught us all a lesson on how it’s done: you can clearly see it was made especially for Sola, but it’s also easy to guess where she wore it. As always, Mo Abudu is the epitome of class. Her mature and exquisite style can be the example for ladies on how to dress right. The wedding of Banky W and Adesua was no exception, as Mo’s pink sequined dress is both eye-catching and incredibly elegant. Rukky Sanda’s Aso Ebi look for the wedding is the example of how you can follow the theme selected by the bride while putting your own twist on your outfit. Instead of a dress that most wedding guests go for, Rukky chose a crop top and skirt, following the trends of the latest Aso Ebi styles. Who else would wear one of the most interesting looks of the wedding night than the comedian Chigul? Here we see the already familiar pink floral fabric with black sleeves, which make the outfit more structured and perfect for Chigul’s personality. Here is a proof that beautiful Aso Ebi styles for a wedding don’t have to be long – a knee-length Aso Ebi with a flared skirt is a perfectly acceptable Aso Ebi look. Bolanle Olukanni, known for her unconventional approach to style, is just the right person to wear an unusual Aso Ebi. We would be fairly surprised not to see a single peplum Aso Ebi look at Banky W’s wedding, and out of all peplum outfits, we love Linda Ejiofor’s the most. Her peplum gown is subtle but charming, and the cool purple satin bodice is also an elegant choice. 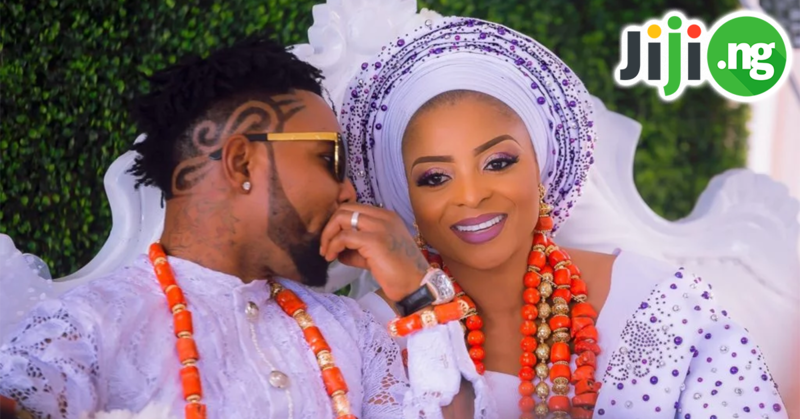 The most intricately designed look of the wedding night belonged to Toyin Abraham. The flowers, satin bows, and sequins on her dress are a perfect choice for an occasion as special as Banky and Adesua’s wedding, and we especially love the beautiful gele.